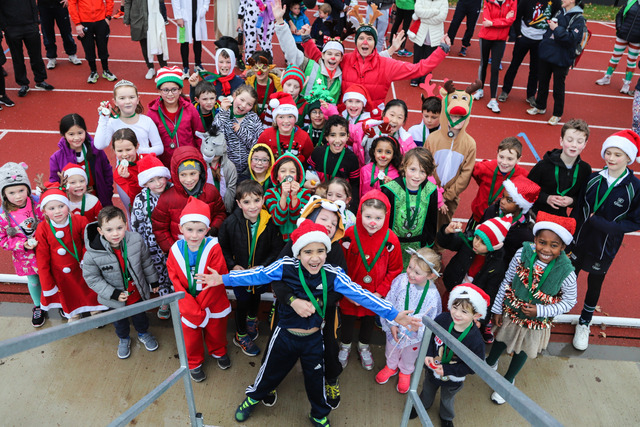 Organised by Greenfield School PTA, Friends of Greenfield School (FroGS), pupils and parents took part in a fancy dress 2k fun run in the name of Christmas and in the name of the school. 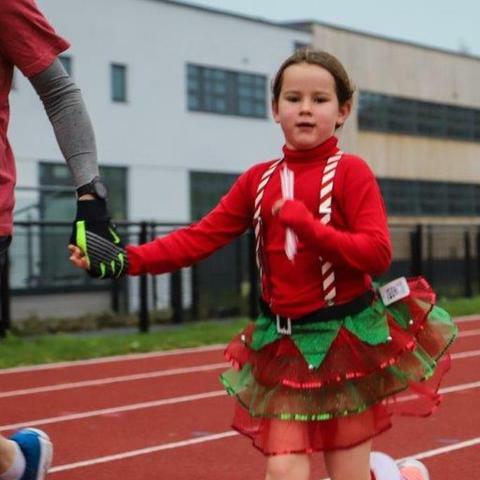 On Sunday 25th November, 54 Greenfield School pupils and parents braved the cold to gather at Woking Sportsbox for their 2k advent fun run – Joglet with Froglets! 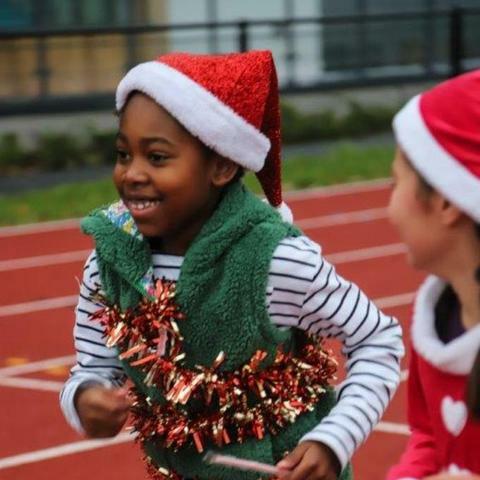 Organised by Greenfield’s PTA, Friends of Greenfield School (FroGS), this event celebrated the excitement of the countdown to Christmas mixed with the fun and inclusivity of being part of the school community. Children and their parents arrived at the new Sportsbox bright and early; raring to go. Even the drizzly weather could not stop them! The morning began with an aerobic warm-up including a hearty rendition of "Head, Antlers, Knees and Ho Ho Hos; Eyes and Ears and Rudolph's Nose" and other classics. As children and adults gathered on the starting line, spectators could see a dazzling array of festive costumes, which no doubt would have helped keep the runners warm. 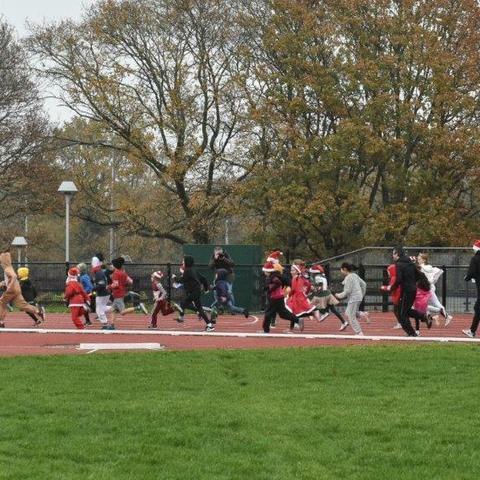 Rudolph, elves, fairies, Christmas trees with flashing lights and even a nativity cow all took to the track. 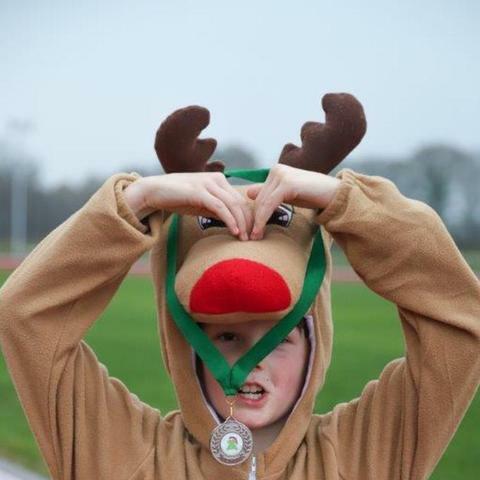 The runners, some of whom were as young as three years old, did exceptionally well and each received a special medal after their five laps of the track. There was a fancy dress competition, with winners from each Key Stage, and also prizes for the top fundraisers in each. The winners of the fancy dress competition happened to be those who were the top fundraisers! The Early Years winner was a lovely little Mrs Claus from Reception, who raised an impressive £189.50. For KS1 it was another Mrs Claus, sporting a beautiful Christmas skirt, from Year One who raised £110. 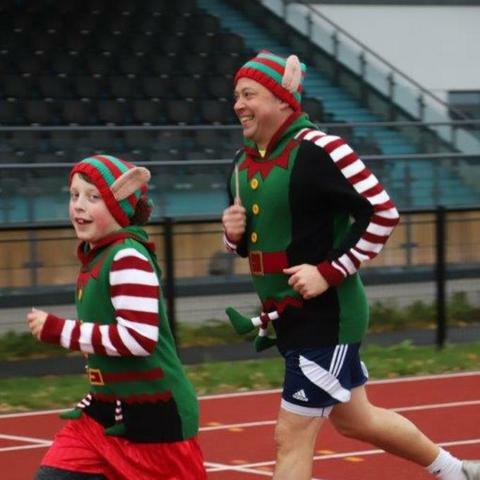 KS2 winner was a rather perfect elf from Year Six who raised £85. The parent fancy dress winner came as a Christmas Tree, complete with working lights! 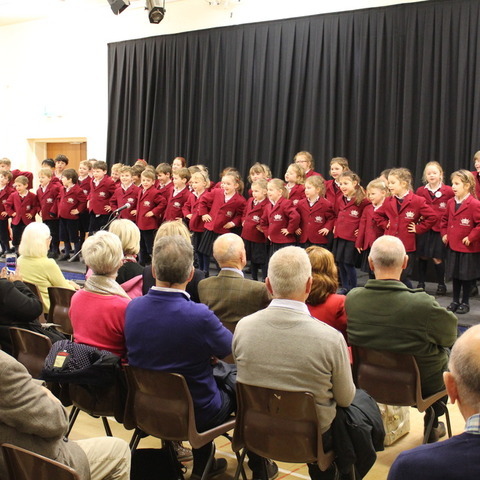 In total, the children managed to raise a staggering £1025.76 for the school community. The money raised at FroGS events in the last year has been in excess of £20,000. 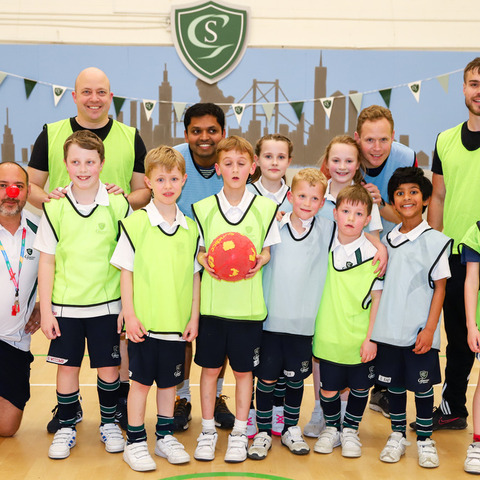 This fundraising has enabled the school to purchase large items such as a new minibus, sports equipment and sound system which help to contribute to enriched learning for the children. 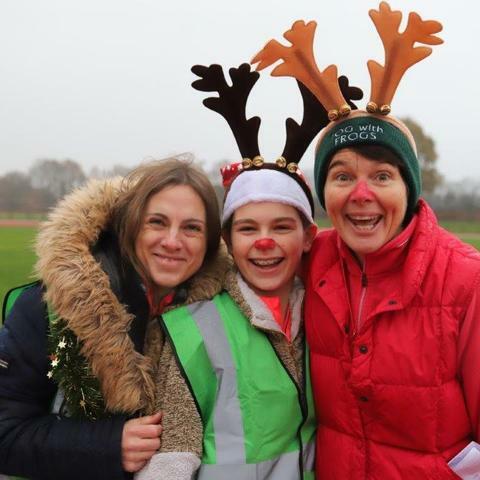 The idea for a “Joglet with Froglets” advent fun run came from Mrs Phillips, Greenfield parent and qualified running instructor. 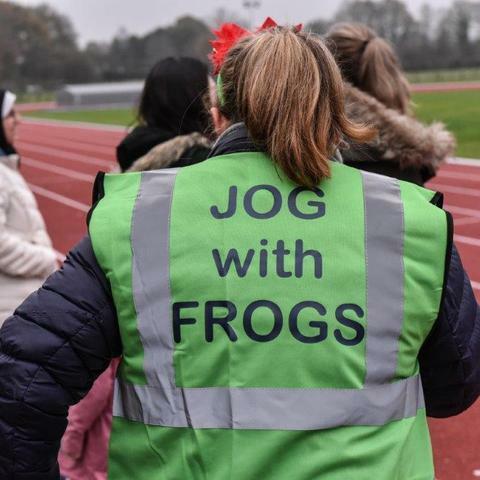 Mrs Phillips founded a “Jog with FroGS” running club in April 2017 with the aim to help Greenfield parents increase their running ability and build friendships with one another whilst having fun. 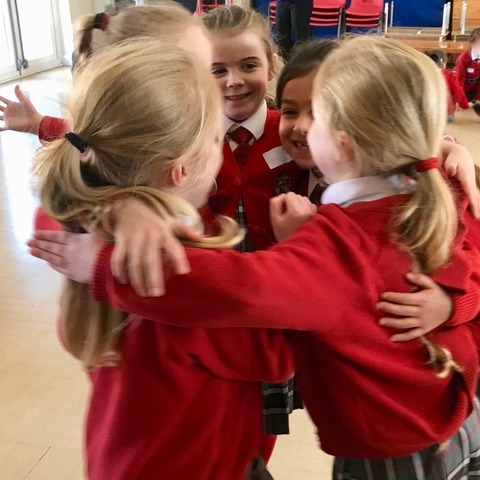 The success of this club led to Mrs Phillips’ idea for a “Joglet with Froglets” event, which has been a huge hit with parents and hopefully was the first of many! It was true Greenfield festive fun and everyone, young and old, entered into the spirit of things. Same again next year? 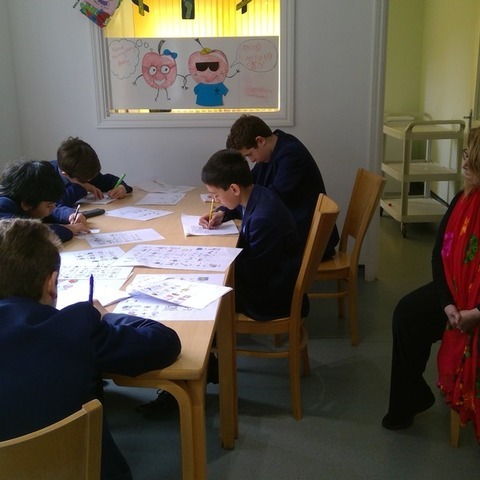 Greenfield is a thriving, forward-thinking, independent co-educational preparatory school for pupils aged 3 to 11 years. 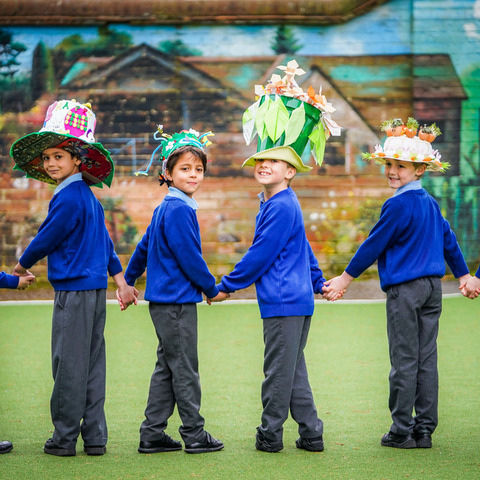 Greenfield provides an all round, broad education for its pupils, in a caring and nurturing environment, and consistently achieves excellent results across the curriculum.